LIMIN’ IN BELIZE: St. Croix’s own Tim Duncan took his girlfriend and three children on a vacation to Belize last week. BELMOPAN — Perhaps trying to get the feel of the Caribbean climate without the harsh glare of recognition, St. Croix’s own Tim Duncan was spotted in Belize last week. 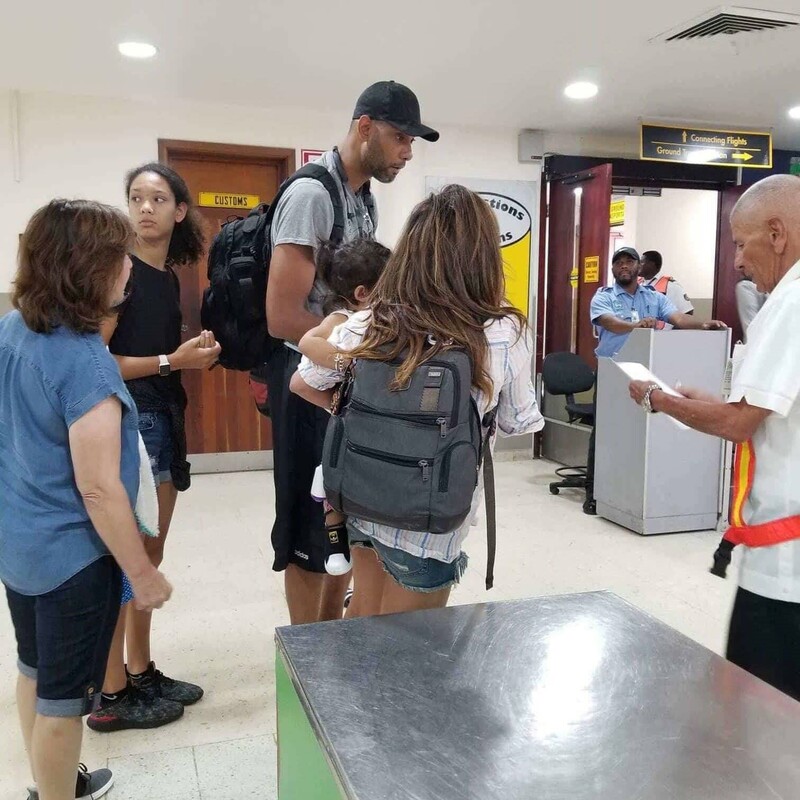 Duncan, with his girlfriend and three children in tow, was photographed going through customs at Philip Goldsen International Airport on Thursday afternoon. The legendary NBA power forward and five time champion with the San Antonio Spurs arrived in this Central American country for a safe family getaway in the sun. 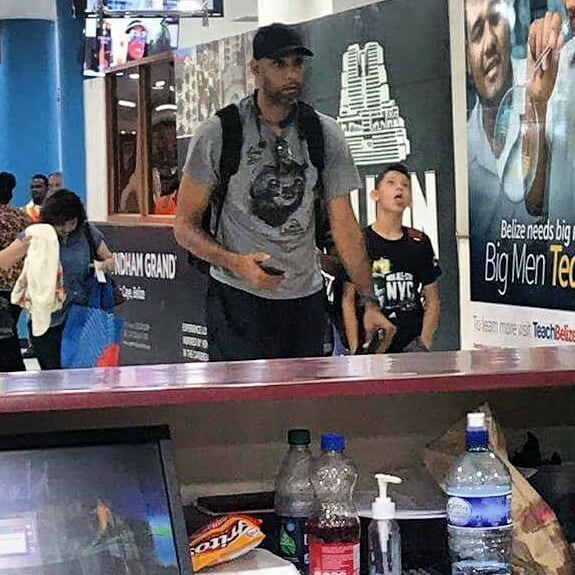 A basketball fan shared a picture of Duncan in the arrival area of the airport in Belize on Facebook. Duncan is divorced from first wife Amy since 2013 and has three children — Sydney, Draven and Quill. The noted humanitarian and pro athlete was born in Christiansted, St. Croix on April 25, 1976 and attended St. Dunstan’s Episcopal High School in Orange Grove. He is 42 years old. He played 19 seasons with the Spurs and gave them five titles, making his reputation as the greatest power forward to ever play in the NBA. His full name is” “Timothy Theodore Duncan,” which is 21 letters long. He wore a basketball jersey with the number 21 on it at Wake Forest University and with the Spurs.